Lisa Gerrard’s ethereal and magical voice helped create the unmistakable sound of Dead Can Dance, the group that she and Brendan Perry founded in 1981. The group split in 1998 and since then Lisa Gerrard has been working as a solo artist and has released four solo albums. She is also a sought-after composer of film soundtracks, which have brought her a string of awards: she was nominated for a Golden Globe for the films “Insider” and “Ali”, nominated for an Oscar and a Grammy and awarded a Golden Globe for the film “Gladiator” and received several international awards for the film “Whale Rider”. Dead Can Dance’s music also featured in the film “Barraka” and she has collaborated as a solo artist on, among others, the films “Tears of the Sun”, “Mission Impossible II“ and „Black Hawk Down“. Lisa Gerrard’s concerts are fantastic experiences: her voice sends shivers down the spine and her music sooths the soul – the delicate sounds of the cello, flute and percussion mingle with a traces of world and new age music. Just as with Dead Can Dance, she absorbs the influences of songs from the middle ages, folk ballads, baroque music, Celtic melodies and contemporary electronic music. The album “The Best of Lisa Gerrard” came out on the 12th of February 2007 on the label 4AD. 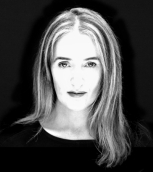 Lisa Gerrard was born on the 12th of April 1961 in Melbourne, Australia. She grew up in suburban Prahran, where her Irish parents lived, and she was deeply influenced by her multicultural surroundings, where Turkish, Arabic, Italian, Greek and Irish cultures came together. From childhood she experimented with her voice and at an early age she started giving solo chamber concerts. It was here that she also met with member of the local music scene Brendan Perry, with whom she founded the group Dead Can Dance in 1981. A year later, they both moved to London, where they were signed to the record label 4AD. The collaboration lasted for many years and they recorded nine albums in total before their split in 1998. Their music brought them cult status and in 2005 they reunited for a world tour. Lisa Gerrard has been working on solo projects since 1995, when she released her first album “The Mirror Pool”, on which she is accompanied by the Victoria Philharmonic Orchestra. In 1998 she recorded her second album “Duality” with Pieter Bourke and the third, “Immortal Memory”, with Patrick Cassidy. In 2006 she released her fourth solo album, “The Silver Tree”. Hans Zimmer on “Gladiator“, “Tears of the Sun”, “Mission Impossible II“ and “Whale Rider“ and with Ennio Morricone on the film “Fateless“.